We view the internship year as a pivotal time in a graduate student’s career, and pride ourselves in being able to offer a rigorous and stimulating training program that affords students from graduate programs in health service psychology the opportunity to develop further their profession-wide competencies, which ultimately enables them to handle a wide range of clinical issues and responsibilities and to function autonomously in variety of clinical settings, while also demonstrating the substantially independent ability to critically evaluate and disseminate research and/or other scholarly activities. One of the great strengths of the Psychology Internship Training Program at Montefiore Medical Center is our ability to offer three different specializations (Adult, Child and Adolescent, and Combined), each with its own goals, objectives and core rotations (see below) while being guided by the same overarching philosophy: that the internship should provide interns with a broad set of high quality experiences designed to strengthen profession-wide competencies using a process that is sequential, cumulative, of graded complexity, that can be flexibly customized (via a wide variety of clinical electives ) to fit the unique backgrounds and experiences, as well as the evolving interests and training goals of each intern. In addition, we believe that the internship year should provide opportunities for interns to demonstrate the ability to critically evaluate and disseminate research or other scholarly activities independently. As such, the Psychology Internship Training Program requires interns in all three specializations to pair up with a faculty mentor who is either conducting research or can assist the intern in making a scientific contribution to the field through a scholarly project (e.g., invited article or chapter, conference submission, etc.). This scholarly project is frequently focused on applied clinical issues pertaining to the disadvantaged and culturally diverse population who we serve, which leads to enhanced learning of the impact that issues of diversity and social determinants of health may play on the implementation of evidence-based treatments, as well as of the unique clinical challenges and needs faced by patients in the Bronx. Thus, interns in all three specializations are able to complete clinical rotations and electives as well as research and other scholarly activities in a variety of settings in the system, affording them the chance to further their learning through the observation of, and collaboration with medical professionals in other disciplines (e.g., transplant, sleep medicine, behavioral health integration, etc. ), frequently to the benefit of the intern, the institution, and the patients we serve. Interns in all three specializations also have access to the same clinical faculty and share many of the same academic activities throughout the year. This allows our interns to learn and receive support from faculty and interns in the other specializations. 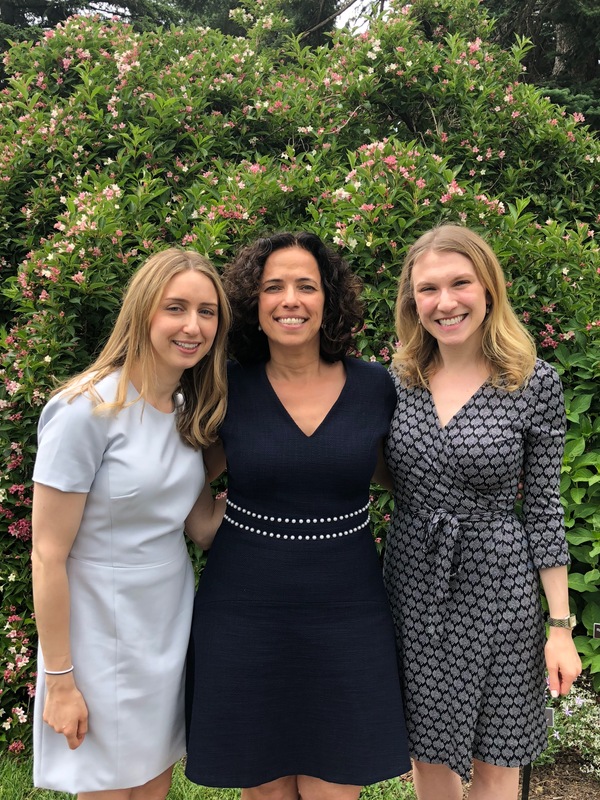 As a result, our interns graduate with high confidence in their ability to function as independently as a health service psychologist and with an already-established professional network of peers and colleagues. Note: We offer a “standard package” of core clinical rotations for our Adult, Child and Adolescent, and Combined Specializations. The following “templates” are meant to illustrate the sequence and structure of each track. It is important to note, however, that the order and length of many of these rotations can be adjusted to create a customized internship experience that fits the unique needs of each intern. Note: Candidates may only apply to only one specialization! Dr. Simon Rego, chairing a panel featuring Drs. Jerry Davison, Steve Hayes, and Marsha Linehan at the 47th Annual Convention of the Association for Behavioral and Cognitive Therapies in Nashville, Tennessee. The goal of the Adult Specialization is to build the profession-wide competencies (e.g., research; ethical and legal standards; individual and cultural diversity; professional values, attitudes, and behaviors; communications and interpersonal skills; assessment; intervention; supervision; and consultation and interprofessional/interdisciplinary skills) in interns wanting to work primarily with diverse range of adult patients who are economically challenged and often have comorbid medical, substance-related and/or addictive disorders. In order to do achieve this goal, interns in the Adult Specialization are provided with opportunities to work with adult patients, individually and in groups, presenting with the full array of psychiatric disorders, using a variety of different approaches and interventions, while in a number of different roles, in outpatient, emergency room, and consultation-liaison settings. In addition, interns with an interest in inpatient populations can elect to rotate through our 22-bed, adult acute psychiatric unit (“Klau 2”) within the main medical center. Adult Outpatient Psychiatry Department: 6 months, 4 days/week; 5 intake assessments, 1 neuropsychological assessment, 16 patient visits/week (including a couples case), co-lead group, participate in a weekly DBT consultation team. Addiction Psychiatry Consultation Service in Psychosomatic Medicine: 6 months, 2 days/week; screen, differentially diagnose, and generate written consultation reports for medically complex patients admitted to the general hospital with comorbid substance use, conduct follow-up visits during the hospital stay. Psychiatric Observation Suite: 6 months, 1 day/week; assess, diagnose, and triage adult and child patients presenting to the psychiatric emergency room. Interns in the Adult Specialization are also able to carry a small number of adult outpatients during the six months when they are not in the Adult Outpatient Psychiatry Department. This is allows the interns to see a several patients for longer-term therapy (i.e., during the entire 12 months of the internship). In addition, as noted previously, interns in the Adult Specialization Track may adjust the length and/or intensity of any of the above rotations, or choose to add electives for up to 1 day/week for 8 months of the year. Interns in the Adult Specialization may also choose to complete certain electives from our Child and Adolescent Specialization Track, including our Child Outpatient Psychiatry Department (COPD) and Adolescent Depression and Suicide Program (ADSP). Dr. Sandra Pimentel, with Child and Adolescent Specialization graduates, Drs. Rachel Terry and Carolyn Spiro at the New York Botanical Garden in the Bronx, New York City. The goal of the Child and Adolescent Specialization is to build the profession-wide competencies (e.g., research; ethical and legal standards; individual and cultural diversity; professional values, attitudes, and behaviors; communications and interpersonal skills; assessment; intervention; supervision; and consultation and interprofessional/interdisciplinary skills) in interns wanting to work primarily with diverse range of economically challenged children and adolescents (ages 4-17) and their families, presenting with the full array of psychiatric disorders in an outpatient setting, individually and in groups, using a variety of evidence-based short- and long-term psychotherapies, including Dialectical Behavior Therapy (DBT) with depressed and/or suicidal adolescents (and their families) and Cognitive Behavioral Therapy (CBT) with anxious children and adolescents, while also learning how to liaison with schools, foster care agencies, the Committee on Special Education, and other relevant organizations in the area. Child Outpatient Psychiatry Department: 12 months; 4 patients/week, co-lead Mentalization-Based Parenting Group 1x/week for 6 months, intake assessments. Anxiety and Mood Program: 12 months; 4 patients/week 1 family case, 2 groups. Adolescent Depression and Suicide Program: 12 months; 2 patients/week, 1 group, DBT Consultation Team. Eating Disorders Program: 12 months; 1 outpatient patient/week, 1-2 inpatient consultations/week. Child and Adolescent Assessment Service: 12 months; 6 comprehensive psychological evaluations, 2 comprehensive neuropsychological educational assessments. Research: 4 months, 1 day/week (minimum); pair with a faculty member to develop and carry out a new scholarly project or contribute to an existing project in a substantial way, leading to a deliverable (e.g., presentation, publications) at the local (including the host institution), regional, or national level. As is the case for all interns, interns in the Child and Adolescent Specialization may extend or contract the length of the above rotations or choose electives as a substitute for up to one day/week of the Child Outpatient Psychiatry Department rotation. Interns in the Child and Adolescent Specialization may also choose to complete certain electives from our Adult Specialization, including carrying 2-3 adult outpatients during the entire 12 months of the internship (with caseloads adjusted accordingly) from our Adult Outpatient Psychiatry Department, or rotating through our Addiction Psychiatry Consultation Service in Psychosomatic Medicine. They can also choose to complete a more intense (e.g., 3-4 day/week) a one-month elective at the end of the internship year (e.g., in Addiction Psychiatry Consultation Service in Psychosomatic Medicine or the Psychiatric Observation Suite). Dr. Amanda Zayde, with Combined Specialization graduates, Drs. 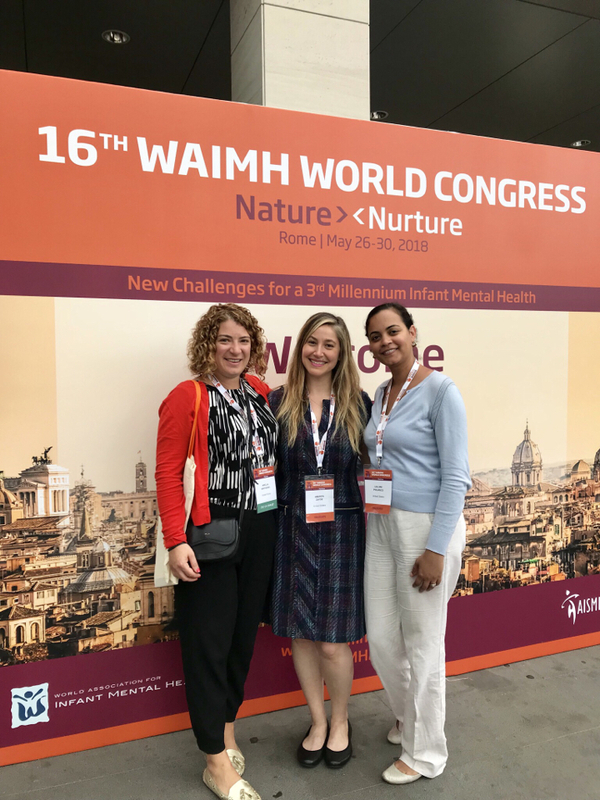 Adella Nikitiades and Lillian Polanco at the 16th World Association for Infant Mental Health Conference in Rome, Italy. The goal of the Combined Specialization is to build the profession-wide competencies (e.g., research; ethical and legal standards; individual and cultural diversity; professional values, attitudes, and behaviors; communications and interpersonal skills; assessment; intervention; supervision; and consultation and interprofessional/interdisciplinary skills) in interns wanting to work primarily in an outpatient clinical setting with a diverse population of patients across the entire age spectrum who are economically challenged. In order to achieve this goal, interns in the Combined Specialization are provided with opportunities to focus intensely on outpatient psychotherapy, delivered individually and in groups, using a variety of approaches and techniques, throughout the year with children and adolescents (as well as their families), and adults presenting with the full range of psychiatric disorders, many of whom are from ethnic minority groups, economically challenged, and may have comorbid medical, substance-related and/or addictive disorders, while also learning how to liaison with schools, foster care agencies, the Committee on Special Education, and other relevant organizations in the area as part of their work with the child and adolescent cases. Adult Outpatient Psychiatry Department: 12 months; 6 patients/week, 1 couples case/week, co-lead DBT skills group 1x/week for 6 months, intake assessments. Conduct minimum of 2 comprehensive (neuro)psychological assessment batteries. As is the case for all interns, interns in the Combined Specialization may extend or contract the length of any of the above rotations or choose electives as a substitute for up to one day/week of their Adult/Child Outpatient Psychiatry Department rotations. They can also choose to complete a more intense (e.g., 3-4 day/week) a one-month elective at the end of the internship year (e.g., in Addiction Psychiatry Consultation Service in Psychosomatic Medicine or the Psychiatric Observation Suite).